At its core, Servitization is more than just digital transformation. It's about reinventing the manufacturing business model from the ground up, using the lessons learned up to this point to build something better, meaningful, and forward thinking across the board. It's safe to say that in an era where manufacturing equipment is getting more complicated every day, end users are turning to their dealers for expert guidance more frequently than ever. Servitization plays directly into this concept, allowing manufacturers to sell both a product and a genuine solution at the exact same time. Dynamics 365, Microsoft's own product line of ERP and CRM applications, can help your organisation take full advantage of this trend moving forward. 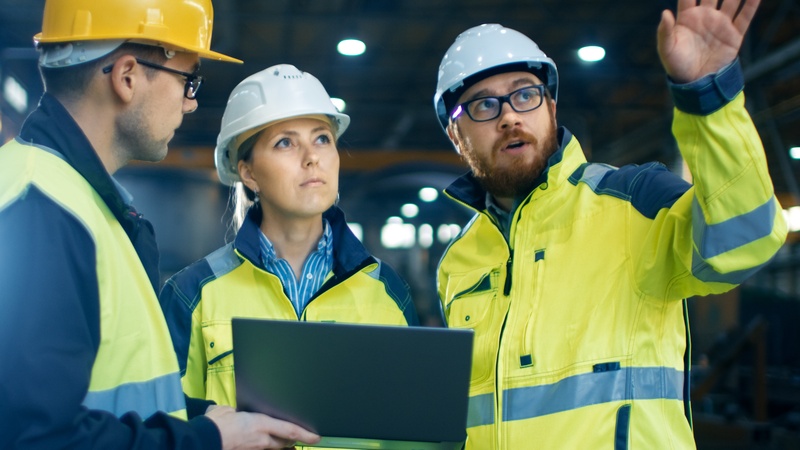 In fact, there are four key ways that your field services in particular will improve in a post-Dynamics 365 world that are certainly worth exploring. There is no doubt that the growth in technology over the past decade has led to changing relationships between you and your customer. New technology now gives you a chance to guarantee the continuous interaction you need to build better customer relationships moving forward. Gone are the days where the only time you'll interact with a customer is when it's time to upgrade or replace something you've already sold them. The rise in the Internet of Things is about to bring with it an era of ongoing communication and interaction. With Dynamics 365, it is now possible to deploy new revenue streams like remote monitoring in a much more cost effective way. As a manufacturer, you have more visibility into the ongoing performance of your assets and your customers than ever before. Dynamics 365 can help you actually do something with that new visibility, creating new offerings that would have been unthinkable even a decade ago. This won't just change the dynamic between you and your customer, it will strengthen it and cement it for a different generation. According to one recent study conducted by Aberdeen, 54% of respondents said that the Internet of Things was directly responsible for the creation of new product and service offerings for their business. This is because using solutions like Dynamics 365 makes it possible to gain valuable insight into your products in the field thanks to the real-time data you now have access to. You're in a better position than ever to service equipment before a failure occurs. You can improve future products and services based on how your customer needs are changing, which you can see happen as it occurs. You won't have to worry about failing to recognise a trend in your industry or getting left behind because you'll see it coming as soon as possible. This won't just give you a chance to adapt, it'll present a genuine opportunity to take full advantage of it. Part of the reason why servitization has gained such traction in such a short amount of time in the first place has to do with the Internet of Things, or the IoT for short. According to one recent study, there will be over 50 billion things connected to the IoT by as soon as 2020. In the manufacturing space, in particular, this will include industrial sensors, advanced RFID tags, beacons, and just about everything else you can think of. All of these devices won't just be connected to the Internet, they'll be connected to one another — creating, sharing, and analysing massive volumes of data every single day. From a field services perspective, your business model is about to move from reactive to predictive, if it hasn't already. According to Microsoft, servitization and Dynamics 365 is the perfect opportunity to get ready for that, allowing you to actually process, analyse and make use of this huge influx of new information while using it to generate new service-driven revenue streams along the way. But in the end, maybe the most important way that concepts like servitization and solutions like Dynamics 365 will improve your field services is in helping you discover what your own customers truly care about. Regardless of the specific problem or challenge that a customer is facing, they want a quick, simple, and efficient solution. It is up to you to give it to them. Thanks to servitization, you're now in a better position to focus less on the product and more on the outcome that product is supposed to bring with it. This in turn gives your field service element an opportunity to implement both the delivery model and the technology required to meet those customer needs, regardless of how they happen to change or evolve over time. In the end, this creates the most important advantage of all: a situation where your own company is always more relevant in the lives of your customer tomorrow than it was today. Rest assured, this is a very exciting position to be in moving forward. At Lanrex, we've committed ourselves to helping businesses just like yours implement Dynamics 365 so that you can enjoy all of the benefits of the best technology. If you'd like to find out more information about how your field services will improve with Dynamics 365, or if you'd just like to discuss the specifics of your own situation in a little more detail, contact Lanrex today.